This is the fifth article in a series of six for companies that wish to implement an effective and positive form of communication into their organization and to enhance employee training for sales and meeting situations. Most people have been to a meeting, that for some reason didn’t go well. Either because people had a bad understanding of each other and how each individual work, or that the meeting was taking too long, stretching so that the rest of the stuff you had to do that day was pushed to the horizon of next week, making you wish, you could go to lightspeed like Han Solo flying the Millennium Falcon through different galaxies in no time! 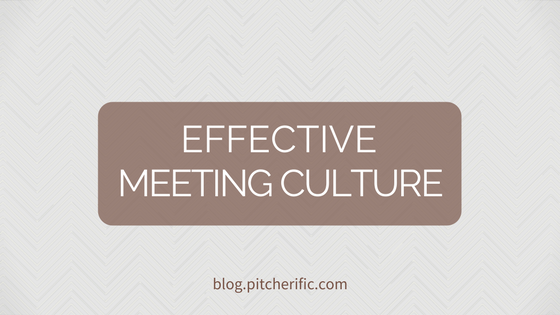 Why should I change the meeting culture? Enough has been said, something must be done to help this situation. Further, then relieve yourself and your employees of the irritation inflicted by the waste of time on the meetings, there is plenty of hours to be saved for each member of the staff with the right form of communication. With the right communication on the meetings, each member adapts a more fitting and appropriate way of working, compared to the confusion that certain meetings may cause. 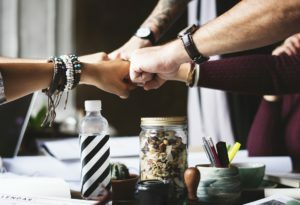 To achieve these advantages of a good meeting culture you need to facilitate a change in behavior at these meetings by implementing a more strict system. As I have Written in an article earlier on, it’s about getting the employees talking the same kind of language, so that they don’t misunderstand, what they are talking about and saying to each other at the joint meetings. In this way, it is also easier for you to help each individual when you talk to them one-on-one. It is important that new colleagues get the right training from the start, but even the ones who have been there for ages, tend to forget what they learned over time, and then start doing things their own way – unless you make an effort of maintaining their knowledge. And that probably has to take place more often, than what the joint meetings offer. At the same time, you can streamline the joint meetings, by introducing a time limit to how long each individual is allowed to talk. By using the right format, controlling time and content, you avoid situations, where an alpha male shares his knowledge about hundred different things, that is not important, leaving the more silent types stranded with their ideas. In this new way, all are encouraged to talk but are still only expected to say something, if what they have to say is a real contribution. Another move could be to introduce a more strict structure for presentations at meetings. Within the SCRUM methodology, the structure is typically something like ”What did you work on yesterday?”, “What are you going to work on today?” and ”What obstacles are in your way?”, but the structure can also be a lot different for your company. The point is, that everybody follows the same structure within the same time frame so that a good meeting culture can be created and maintained. If your company has a sign in for Pitcherific, you can easily create digital playbooks, so that your colleagues get to work within a system, that saves time through its streamlined format, and that at the same time can help each employee maintain their knowledge. You can try it for free right [here]. This principle originates from the meetings held at Toyota. Here they let the interns start ou,t by saying what they think of a certain topic. 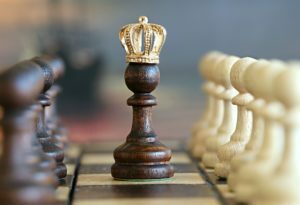 After them, the next colleagues take over delivering their contributions, in a reversed hierarchically order, so that the highest ranking employee finishes. In this way, the new co-worker isn’t controlled, by what his superior has just said, and you don’t cut off an important resource.